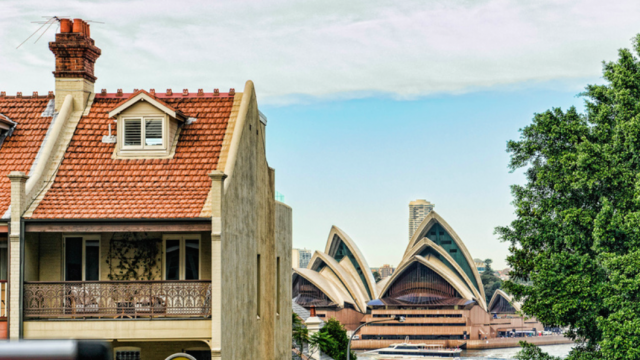 The lack of inner-city affordable housing in Sydney has a negative impact on the city’s social diversity and economic viability. The situation is set to worsen, with property values increasing. Housing stress occurs when households spend more than 30 percent of their income on rent or mortgage repayments, and that has detrimental social and economic impacts. Australian Housing and Urban Research Institute data from 2007 showed that 862,000 Australian households – that is, 15 percent – are in housing stress, including more than 400,000 that spend more than 50 percent of their income on housing. Even where low-cost housing is available in the inner city, if it is not dire, someone on a higher income usually snaps it up leaving even fewer options for those on lower incomes. All areas need to house people on different income levels. A narrow housing mix impacts on the social fabric of a community. Without diversity of income levels, neighbourhoods become dull and monotonous and have less sense of community. The inner city needs a mix of social, boarding, student, aged care, key worker and small and large housing. There are long waiting lists for social housing in the inner city because it is close to jobs, transport and health and welfare services. However, in Millers Point, the Government is set to sell-off all properties the tax-payer owns. This process only reduces available inner-city stock and high land values exclude the provision of new inner-city public housing in the future. Boarding houses are essential to the housing mix, providing a stopgap between homelessness and other low-cost accommodation. However, the number of inner-city boarding houses is declining, with large old terraces being sold and converted into single residences. I welcome the boarding house reforms introduced by the Minister for Disability Services to give residents of registrable boarding houses rights, protections and access to affordable dispute resolution. I hope the boarding houses register will help the Government to ensure the industry’s future sustainability, particularly in the inner city. The inner city has two major universities: the University of Sydney and the University of Technology, as well as a major TAFE campus at Ultimo. Our universities rely increasingly on the revenue brought in by international students, who have limited access to quality affordable housing. While Commonwealth funding has helped universities to increase their housing options, demand still outstrips supply. Many international students are forced to move into share houses without a written agreement and are beholden to a head tenant. They are not captured by occupancy principles for boarding houses and are not covered by other tenancy laws. Their disputes must be heard by the Supreme Court and I am told by tenant advocates that common disputes include failure to refund a bond and termination without notice. The Government must urgently provide a system of rights for these marginal renters. It could also support initiatives such as HomeShare, which involves international students living with someone who needs up to 10 hours a week of care and companionship. Similar programs are run in Victoria and New Zealand. If essential workers such as cleaners, nurses, teachers, hotel workers and police officers cannot afford to live close to the city they will move to areas where they can afford to live to avoid long, expensive commutes. This makes it difficult for inner-city businesses to attract a high-quality workforce and to function properly, putting Sydney’s global competitiveness and ability to attract workers and visitors at risk. The City of Sydney 2030 affordable housing target is 7.5 per cent of all housing in the local government area and it imposes an affordable housing levy at Green Square. Ultimo and Pyrmont should also have a levy, but that requires ministerial approval. Alarmingly, the planning white paper removes councils’ powers to set affordable housing targets and to impose affordable housing levies. Under the National Rental Affordability Scheme, the Federal Government funded 1,035 affordable rental dwellings in the inner city, including 828 dwellings at Frasers and 30 properties on Darlinghurst Road. It is also funding a study on affordable housing by inner-city councils to identify new sites. We need more projects like the Housing NSW Camperdown development, which provides on-site services, medical facilities, training rooms and a vegetable garden. It is an example of what can be achieved when different levels of government and the private and community sectors work together. All levels of government need to work together, and we need to establish enforceable targets with incentives for developers and landlords to provide affordable housing. We need a strategic approach to identifying and securing land. I welcome the Government’s Affordable Housing Taskforce, which shows its commitment to this important issue. The task force will develop planning policies through an affordable housing strategy. The challenge for the growing inner city is greater than other areas. What is the point of this article. It doesn’t say anything.